Vermont native Sam Amidon is the son of two folk artists in the Bread and Puppet Theater. He picked up the fiddle at the age of three and at age 13 started a band with pianist Thomas Bartlett, a prodigy in his own right, called Popcorn Behavior. Though his first three proper albums have been filled with arrangements of found gospel, Celtic, folk, and nursery song backlogs, The Following Mountain is Amidon's first album of purely (mostly) original compositions. Alongside multi-instrumentalist Shahzad Ismaily, among other impressive collaborators, the throat singing wonder and music maker is making good on his next step. 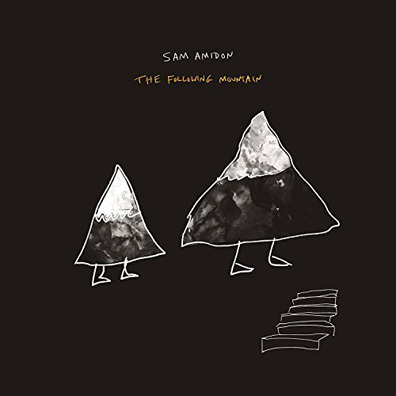 The Following Mountain rewards us with the marriage of the two Sam Amidons—the inflection of those old-soul melodies meet the nuances of his Popcorn Behavior. He's made popcorn from folk music. He's made jazz. And he has got us all whirled up in all sorts of ways. "Fortune" opens with Amidon's signature rigged folkloric crow, as classic as they come, and transpires into improvised plucks over dotting piano. "Ghosts" blends grazing fiddle besides catapulting drumbeats, Amidon's voice like a ravaged Grandfather of Time falling off a mountain. It's warbling and intense, and showcases Amidon in the proud play of music. "Juma Mountain" is a sparkling quarry, we trek down and back up again, Amidon gathering us like a basket full of rocks, and Juma Sultan's gentle conga lines bump us up and down. We are both jangled and comatose. It's a gorgeous standoff. "Another One Gone" flips slow-track hip-hop against tickling sticks, and Amidon calls to the fiddle as if the beat of the millennium is about to drop on us. We can't believe how much we believe him.